You can benefit from these core planning and investment management services supported by the significant resources of our local and regional experts. With these independent services you will also experience our high level of personal service to keep you on track towards your financial, family, and retirement lifestyle goals. Proactive Investment Management – You can call on our personalized investing process to build an investment plan tied to your goals. We proactively invest on your behalf with the goal to both preserve and manage your capital and also take advantage of market opportunities. Retirement Planning - Today, retirement planning has never been more challenging. First, we help you shape a retirement or “graduation plan” that’s based on your own sense of the next phase of life. After determining where you want to go and how to get there, we then optimize your investments on an ongoing basis. Estate Planning - Collaborating with you and your estate planning advisors, we make sure you have the necessary legal documents in place to protect you and your family. It is also essential to confirm that your current legal planning is in line with your goals. Where necessary, we help develop wealth transfer strategies designed to ensure that your wishes are carried out efficiently. Risk Management and Insurance Review – Wealth brings with it risks that are often unforeseen. We work with you in selecting investments, insurance products, and other suitable tools to mitigate these risks as well as help protect your lifestyle and family. Tax Planning – We join forces with your tax advisors to plan for your individual or business tax situation. Having all your advisors on the same page helps to ensure the most advantageous tax plan for you. 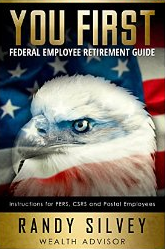 Government Employee Retirement Planning – Many government employees are unclear about how to maximize their benefits and set a retirement date. Today, retirement planning has never been more challenging. First, we help you shape a retirement plan that’s based on your own situation and goals. After determining where you want to go and how to get there, we then put your plan into action. To gain more information and to request a no-obligation Retirement Readiness Review, contact us.